On 24th May 1913, children from the Queen’s Walk school gathered on the Queen’s Walk Recreation Ground to celebrate Empire Day which was also the anniversary of the birth of Queen Victoria. 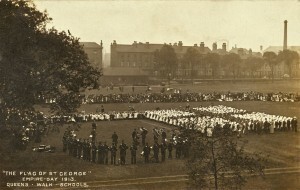 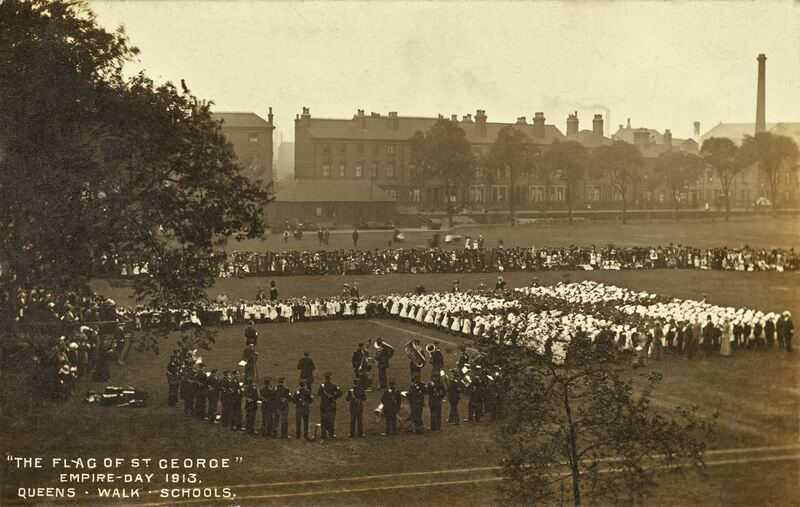 The children dressed in red and white lined-up to form St George’s Cross – a patriotic gesture that matched the occasion. 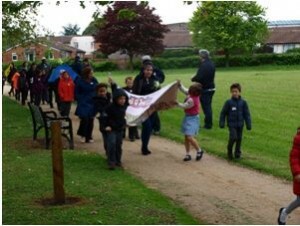 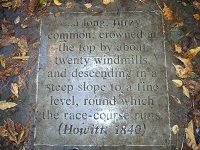 One-hundred years later, children from one of the Meadows’ schools marked the anniversary of this event by launching their our project to re-use the ancient lime trees cut down to make way for the tram. 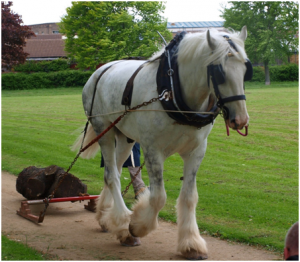 The children followed the shire horse dragging part of one of the trees and then listened to stories of Meadows people, young and old.